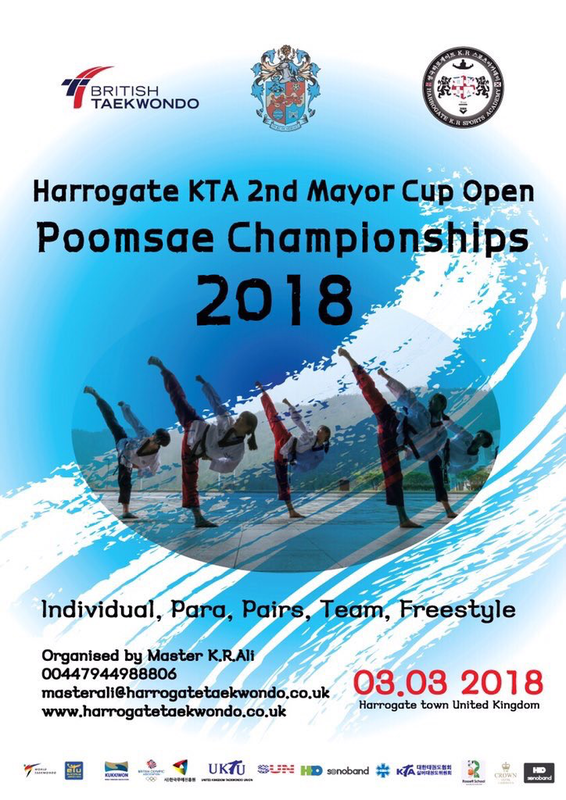 Harrogate K R ALI Taekwondo Academy held the 2nd Mayor Cup Poomsae Championships on March 3rd, 2018 at the Rossett sports centre in Harrogate. K R ALI Taekwondo Academy is now celebrating the success of its second major taekwondo competition within the UK, which saw competitors from all over the UK and from six different countries come to Harrogate to compete in the event. Despite the harsh weather conditions around 300 competitors attended to compete in the discipline of Taekwondo poomsae. 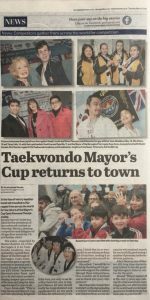 The event was also once again attended by the Mayor of Harrogate Anne Jones who Also went on to give a speech sharing her love and appreciation for taekwondo. 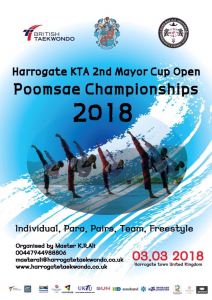 The Mayor was also around to watch the para and Freestyle poomsae categories. Attendees of the competition also got to watch a taekwondo demonstration provided by the KTA Silver Taekwondo team from South Korea; the demonstration featured several patterns and impressive breaking skills performed by Silver Taekwondo’s demonstration team of senior athletes ages 50+.